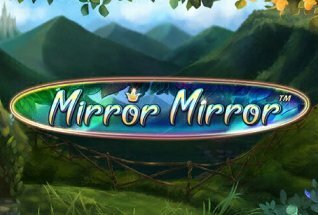 Microgaming have slated two game releases for September 2017. Alongside the brand new Gnome Wood comes this super-charged version of an earlier release. 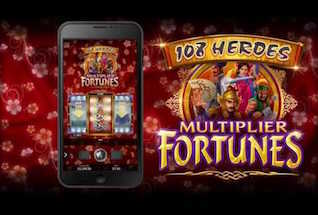 108 Heroes Multiplier Fortunes Slot features epic ancient Chinese mythologies about heroic rebel fighters. And here, MG have added additional multipliers to make the action more exciting still and drive bigger wins. Whereas the original 108 Heroes was a 5 reel and 15 payline game, this version has just 3 reels and 9 paylines and plays more like a traditional fruit machine, with the option of re-spins with locked reels. You can win up to 2,136x your stake with every spin. The 108 Heroes Multiplier Fortune RTP is 96.5% and we estimate the volatility to be something around medium, with fairly regular payouts and potential for some big wins if you can hit the 10x multiplier and re-spins. 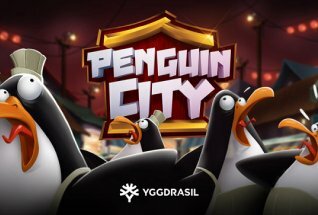 You can play this game on any mobile, desktop and tablet after its release. Why not play for free or play for real at one of our recommended online casinos, Casumo Casino? Or read on for our full game review. The rebel warriors of the 108 Heroes ancient Chinese myth are brought to life in this game, with Samurai fighters featuring on and around the reels. The symbols in the game are these, plus some traditional fruity ones, like number 7s and Bars. Classic fruit machine players will enjoy this game. Also look out for the warrior heroes who are Wild symbols. 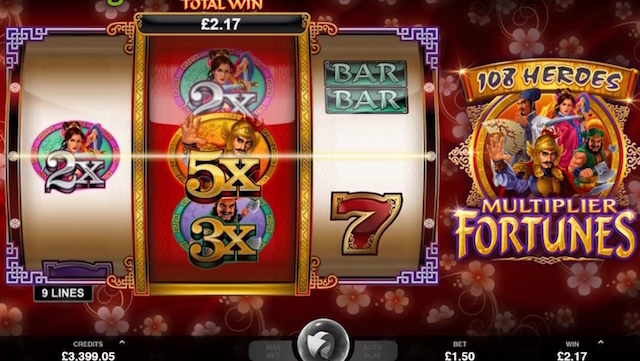 You can play 180 Heroes Multiplier Fortune slot from 15p a spin up to £37.50 a spin. Change the stake by using the up and down arrows next to the value at the bottom of the screen. There are also Autoplay and Max bet functions. This is a very simple video slot game. 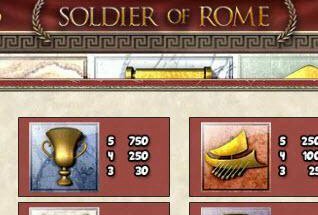 The key feature is the Wild symbols (the warriors) each of which has a multiplier value associated to it. These are 2x, 3x, 4x or 5x. The re-spin feature can be triggered by landing two or more Wild multipliers on reel 2 (the middle reel). During re-spins reel two remains locked throughout. All wins are doubled during re-spins – so if you have a 5x multiplier, you are actually looking at a 10x multiplier! So, there you have it. 108 Heroes slot game is a very simple 3 reel fruit machine from Microgaming. It is not packed with features, but the good news is that the re-spins seem to trigger on a pretty regular basis, and if you can land that 5x multiplier at the same time, you have a chance to win big!